Wear good quality shoes that don’t let the water in and are quick to dry. Try to dry your footwear out after use in the direct sunlight e.g. tie them to the clothesline. If they still feel damp the next time you go to wear them, choose another pair if possible. Wear quality socks that wick moisture away from your feet. Socks should be discarded to the laundry immediately after use – don’t be tempted to wear a second time. Go barefoot inside your home or at least open toed slippers. Avoid putting socks or slippers on straight after your shower as your body temerpature needs to adjust and your feet need to dry completely before covering them up. It’s a great idea to give your feet a quick wash (preferably with soapy water) when you get home and thoroughly dry them. Before you shower and while feet are dry, scrub with a pumice or a foot scruber to remove dry dead skin (odour causting bacteria love feeding on dead skin cells). Keep nails short – the longer your nails are the more surface for bacteria and fungi to live on and under. If your prone to smelly feet and footwear then a treatment of Odorex Foot & Shoe Deodoriser for seven days will eliminate foot and shoe odour and help prevent athletes foot. This month we are proud to be supporting the New Zealand Breast Cancer Foundation by donating $1 from each purchase of our specially made pink PAWS Pet Litter and Cat Teaser Toys. When you purchase any of these products you will be making a valued contribution in the fight against breast cancer! This St Paddy’s when you purchase any product from the Odorex Foot & Shoe range, we’ll add another for FREE! Simply write ‘Happy St Pats” in the comments section of your order to be eligible for this offer! A story of local innovation, regional manufacture and kiwi ingenuity. Nearly twenty five years ago New Zealand geologists Dr Ray Merchant and Peter Roberts discovered Zeolite deposits near Rotorua which became the basis of the first local pet litter operation in NZ. Fast forward ten years and Dr Merchant, with five cats of his own, became frustrated with the quality of pet litter available. He dreamt of producing a high quality pet litter that outperformed other products on the market with high absorbency, excellent odour control, antibacterial properties, low dust, non-allergenic and biodegradable. He began experimenting in his shed. It was a very small shed, so out went lawnmower, garden tools and his wife’s push-bike and hours were spent developing pet litter. He produced what initially appeared to be a fantastic product but it wasn’t commercially viable. In 2013 a chance conversation with his son-in-law, an engineer by trade, suggested a new course of action which overcame the earlier obstacles. In 2014, aft er acquiring larger machinery and a bigger garage, his pilot scale plant produced the first product and PAWS pet litter was launched. PAWS is a brand new type of pet litter that ingeniously bonds recycled newsprint with the mineral Zeolite into a composite pellet which has all the key properties pet lovers demand in today’s environmentally conscious world. Finally Dr Merchant’s dream of producing a unique, environmentally friendly pet litter that cats love was realized! Paws Pet Litter offers a new paradigm to shoppers who care for both the welfare of their cats and kittens and the environment. Give it a go! You won’t be disappointed! Pet litter, animal litter, cat Litter, kitty litter….no matter what you call it it’s not a very thrilling topic…. so why would anyone get excited by it, let alone write about it? Well, believe it or not, there is science behind it and it has to please a fickle end-user, the cat (who after-all rules the house). With so many types of litter available choosing the right litter can be a challenge. Till the late 1940’s there was no cat litter. It was sand, dirt, ashes, or you kicked your moggie outside. Then Ed Lowe, a US clay miner, had an ah-hah moment and bagged some dried clay chips, offering it free to the local grocer to sell to cat owners. It worked, the market went mad, he started selling it, built a plant to meet demand and became exceedingly wealthy. In 1980 the mineral zeolite became available. Because it helped deal with smell zeolite rock litters became popular. In the 1990’s synthetic silica litters emerged with high absorbencies and matching prices. Clumping litters dominated in early 2000’s. These are special clays that coagulate into lumps when hit by urine and are easily removed prolonging the life of the litter. Now ten years on there is a move to eco-friendly paper or fibre based products. The biggest difference is whether they clump or not (in the presence of liquid). Clumping Litter creates a solid lump when urinated on, leaving the rest of the litter dry so you simply scoop out the lumps and faeces. 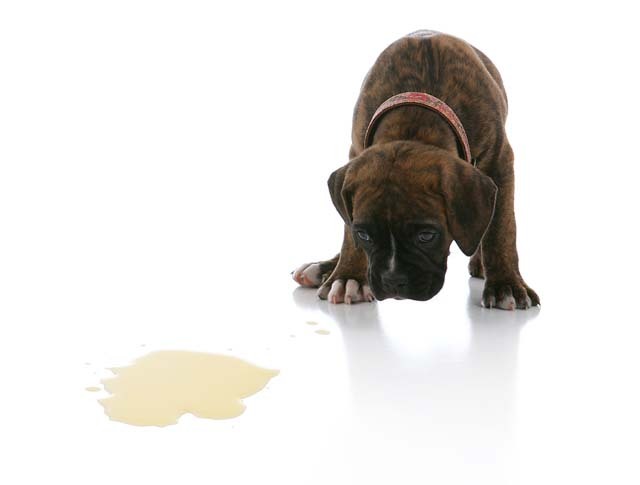 Urine in non-clumping litter seeps through and dries and additives in the litter absorb some of the odour. You can scoop out faeces but you will need to change out the entire litter box at least once a week in order to remove the urine. Silica crystal based litters are non-clumping but absorb the urine more quickly than clay. Clumping litter is usually more expensive, yet you use less in the long run. Clumping litter can sometimes stick to cat fur, not ideal for long-haired cats or kittens as they could ingest it as they groom themselves. Needless to say choose a cat litter that is non-toxic in case your cat does ingest some. Pet litters that are dust-free or low in dust are important if your cat or other household members suffer from dust allergies or asthma. Some cats can develop allergies to specific ingredients in the litter so as natural a litter as possible should help prevent or alleviate these issues. Some litters can be uncomfortable on your cat’s paws, especially if they have been declawed. Soft litter is preferable. Powerful odour absorbing ability is one of the most important factors in choosing a cat litter. Scented litters simply mask odour which means some owners will leave the litterbox dirty for longer than is hygienic for their cat. Dirty litterboxes are the number one cause for cats going outside their litterbox. Scented litter may also be unappealing to your cat’s sensitive nose. The ideal litter should be environmentally friendly and pose no disposal problems. Large clumping litters are not suitable for flushing down the toilet and non-biodegradable litters should not be added to compost – they should be put out with the rubbish. When it comes to determining value for money the purchaser has to weigh up the cost, the product life, ease of use and ease of disposal, environmental considerations and safety. In conclusion to succeed as a litter it must be very urine absorbent, active in dealing with the bad smells (generally from bacterial action) be safe for cats, with low or no dust, be easy to handle without the need for weight training, readily and responsibly disposable, have a reasonable tray life, and most of all appeal to the end-user, the cat. PAWS Pet Litter ticks all the boxes! Its light weight, highly absorbent, absorbs odour and is environmentally friendly. Paws incorporates the natural odour absorbing mineral zeolite in a highly absorbent fibre pellet manufactured from recycled paper waste. Wet pellets and solid waste can be simply scooped out and the tray replenished when required with fresh litter while the waste can be safely disposed of down the toilet. No need to replace the entire box of litter – just add more as you remove used litter. NB If you are considering a change to a new litter we recommend a slow transition to the new brand by gradually introducing the new variety until your cat becomes used to it. Happy shopping and we hope this helps you and your cat select a litter that suits. A fully house-trained adult dog should have the chance to eliminate outside at least four times a day. However not all dogs behave and some adolescent or adult dogs (over six months of age) will urinate or defecate inside the house. Normally it’s only in certain locations e.g. in rooms you don’t often use, or only on the tiles, or child’s bed or under certain conditions e.g. when they are along, during greetings, play or reprimands. Knowing when and where can help indicate the cause and how to correct it. For a new dog entering the household, follow the exact same steps as toilet-training a puppy. For a dog established in the household that develops toilet training problems, you need to first find out why the dog is soiling inside. Is it a health problem? Always rule this out first with your vet – a common problem is urinary tract infections or incontinence in older dogs but even a change in diet can cause a gastrointestinal upset that causes your dog to eliminate inside. There are also a number of medications that can cause frequent urination and house soiling. Is it a sign of anxiety (older dogs can develop this)? Signs of separation anxiety are when your dog appears nervous or upset right before you leave and only soils inside when they are alone. Anxiety can also be caused by major changes e.g. new member of the household (animal or person) they dislike, or permanent departure of a loved family member. Dogs who suffer from anxiety usually eliminate on furniture, beds or sofas—areas that smell strongly of particular people or other animals. Is it their background? If your dog only soils a specific surface e.g. cement, carpet etc. then they may have developed a surface preference for elimination. A dog will usually prefer to eliminate on the surface they used as a six- to ten-week-old puppy but surface preference can also be caused if they have been housed for a period of time in a place where they are forced to eliminate on a particular surface e.g. the concrete floor of a shelter, the bottom of a hospital cage or newspaper in their crate. You can help teach your dog to eliminate in the correct area by adding a bit of their preferred surface to that area e.g. a slab of concrete, carpet or paper to the grass area. Over of a few days you can try adding grass clippings to the slab until they are completely comfortable and you can take the slab away. If possible, greet your dog outside and ensure all greetings or goodbyes with your puppy are as quiet and calm as possible. Try tossing a handful of small treats or a favourite toy in their direction to distract them before they greet you. Wait until they have completely calmed down before interacting and then do so calmly, squatting down (not looming over them) and looking off to the side not straight at them. Teach your dog to ‘sit’ before they greet people and when you or visitors greet your dog pat them under the chin or chest, not on top of his head. Is it marking? The most common reason for urine marking is to claim territory but it can also be in response to frustration, stress or an anxious situation. This also may be a sign of a dominance issue i.e. if there is another dog on the property or your dog doesn’t “know its place” in the family hearsay. It can also simply be a bad habit. This is rarely a problem if your dog has been neutered/spayed. If you conclude that is it marking then you need to go back to the basics of toilet-training a puppy and or try the buddy system below. If they mark in predictable areas regularly place treats under and around those objects or try to discourage your dog from returning there by using double-sided sticky tape or other types of harmless but unpleasant booby traps. Make sure you have used a quality odour eliminator like Odorex® Animal Odour Eliminator to clean the affected areas so your dog is discouraged from these favourite spots. Another effective method to help an older dog with toilet training problems is called “The Buddy System”. Tie your dog to you (with a leash that’s approximately six feet long) at all times when inside. That way you can keep an eye on them while getting on with your routine. You can start to loosen the leash after a while, effectively giving them less supervision. Make sure you designate a toilet area outside and do not let your dog eliminate elsewhere. Lead them to that spot, use your verbal command and praise/treat them immediately when they go. If you see your dog start to eliminate e.g. lift their leg or squat somewhere besides the designated spot, immediately pick them up, take them to the correct spot, and use your verbal command. It is very important that you correct the unwanted behaviour during or before it occurs so your dog can associate that with an unwanted behaviour. It’s turning out to be a cracker summer and while it’s easy for us “uprights” to keep cool, the heat can play havoc on our four legged friends. So here’s a few tips on how to keep them cool as a cucumber! We know our pets love to run around and play but too much of a good thing on a really hot day and they will soon become exhausted and dehydrated. Encourage them to calm down by providing a relaxed, cool, dark place. Try not to initiate play during really hot days. 2. IF THE JANDAL FITS: It’s happened to all of us at some point – strolling to the diary for some tip-top and our jandal gets stuck to the hot tar, or hip hopping our way from the beach towel to the water over hot sand. Moral of the story: If you can’t walk on a surface barefoot nor can your dog, so best to keep those strolls to early morning or late evening. Rubbing Vitamin E Oil or Aloe Vera on to their paw pads will prevent cracked paws which can lead to them getting burnt on the pavement, better still walk on the grass! 3. GET CRAFTY: Kitty cats especially love a place where they can feel snug and safe. Simply solutions are placing a cardboard box on its side, place that is quiet, cool and out of the way e.g. a closet (doors open please). This is not the time of year for their favourite fleece – line it instead with breathable natural fabrics like cotton or a terry towel. Another crafty idea for both cats and dogs is sticking an ice pack inside a sock or under a towel, or a plastic bottle or hot water bottle filled with cold water left out for them to lie on. A tea-towel soaked in water, placed in the freezer then laid out for your pet to lie on is another nifty idea. If you are home to “outdoorsy types” and your garden lacks shady spots for them to enjoy, set up some shade-cloth – a towel laid across the top of a clothes horse is an easy and portable solution. Don’t forget to check garden sheds e.t.c before closing the door – our little friends might seek solace here and these small unventilated rooms can often overheat! 4. COOL CATS: We’ve never met a cat yet who likes to get wet so stroking them with a dampened paper towel is a more pleasant solution for both parties than a quick dip in the pool! The places where most pets get the warmest are their bellies, the pads on their paws, their armpits, under their chins, and on the outside of their ears. Concentrate on keeping these spots cool. Spraying the ears and the paw pads with a cool water or dampened towel will help cool the blood that circulates through the ears and reduce the overall body temperature of your pet. 5. BEAUTY IS IN THE EYE OF THE BEHOLDER: Brush your pet daily – matted fur traps heat and stops the air flowing freely and as much as you think a baldy is the way to go – avoid shaving them to the skin – bare skin = sunburn + skin cancer risks! You can rub baby sunscreen on exposed areas but try not not them lick it off before it dries. that contains ice cubes (don’t make this their only source of water), you could even try flavouring them with chicken or beef stock – ooo aaaah, as good a s Fruju! Or get a container and freeze their favourite toys and treats in water. As the block of ice gets licked and melts during the day the toys and treats slowly become available and reward your dog, or if you really want to treat them make a pet popsicle. If your dog is panting excessively try rubbing honey on their gums to raise their blood sugar and prevent heatstroke. 7. GETTING DOWN TO BUSINESS: Heatstroke is a fever brought on by the failure of the body’s normal temperature regulation system due to being in overly high temperatures. Symptoms can include agitation, extreme distress, stretching out and panting heavily, skin hot to the touch, vomiting, glazed eyes, drooling and staggering. Untreated, your pet will collapse into a coma and die. If you see any of these signs, get to the veterinary clinic immediately. If they’re mildly affected, get them to a cool indoor environment with a constant flow of cool air, and keep them calm. If they’re severely affected, use a fine misting spray from a hose or sprayer, or pour bowls of water over them with care. Wrap them with wet towels except for the nose and mouth and keep adding cold water or ice packs and get them to the vet. In particular, the head must be kept cool and wet because heatstroke can “cook” the brain and cause brain death. Do not immerse the cat in cold water. Offer small amounts of water only once the cat is conscious and has cooled down; never give liquid to an unconscious animal. MOST IMPORTANTLY DO NOT LEAVE YOUR PET IN A CAR UNATTENDED – EVEN IF YOU’VE CRACKED A WINDOW, THEY CAN OVERHEAT AND DIE IN UNDER 15 MINS! We are happy to support our very loyal customer Christine Johnston in her endeavor to raise funds for the care of rescued cats. Christine inherited 17 rescue cats from a friend who passed and to support them she came up with concept of writing stories about the individual cats around photographs she has taken of their antics. To complete Christine the project she sought the assistance of author, Marilyn J Bakker. All proceeds from the sale of the books will assist in the care of the cats so that they can be continue to be provided with a healthy environment, and excellent veterinary care from the Swanson Vet Clinic, Henderson, Auckland when required. You can read more information here or download the order form. In a culture where people treat pets as an integral part of their family and are willing to spend the money necessary to keep them healthy and happy, kennel and cattery owners are in a unique position. 68% of New Zealand households own at least one pet, a higher percentage than in any comparable country and with a $358 million spend for veterinary services and $166 million on healthcare products it’s evident that pet owners do not skimp when it comes to pet care. This massive community has another thing in common: they can’t take their pet with them everywhere they go. Many people must travel, and they turn to boarding facilities for professional care in their absence. Although a boarding facility is important to many pet owners, commodities like grooming, training and retail products are a plus. If it were up to dog owners, their pet would always be well groomed. But let’s be realistic, between day-to-day and vet visit costs, regular grooming can be put on the backburner. That’s why offering grooming at your boarding facility can be in your favor. If a dog owner is already boarding their pet, the decision to have their dog groomed as well is much easier. Out of site, out of mind. Which leads us to our next point. Consider the challenges of a pet owner. If you can offer them something they either don’t have the time for or the skill to do on their own, your services become much more valuable. Training a dog takes time and dedication. 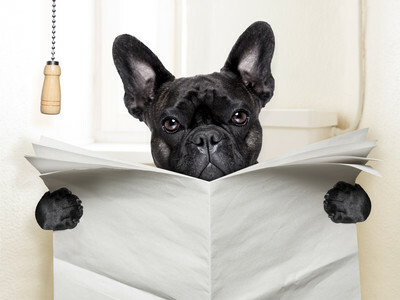 Why not offer dog training at your boarding facility? This way the owner knows that the time their dog is at your facility, it is not only cared for, but also trained to learn new skills. Want to make dog training a focal point? Offer group classes or private lessons that involve your customers as well as the dogs. Another simple way to increase sales and make your facility the go-to place for dogs is to offer retail items. Carrying food, accessories, grooming tools, treats and health products for dogs takes away an extra errand for dog owners and increases your profit. Whether it’s organic dog food or specialty leashes, consider what is important to dog owners today and look into carrying products that address those interests. If you own a kennel or cattery and are looking for another revenue stream – talk to us today about selling Odorex in store, we will support you with market the products and help you drive more sales.